All good ideas should come to life, all work once started should be finished. 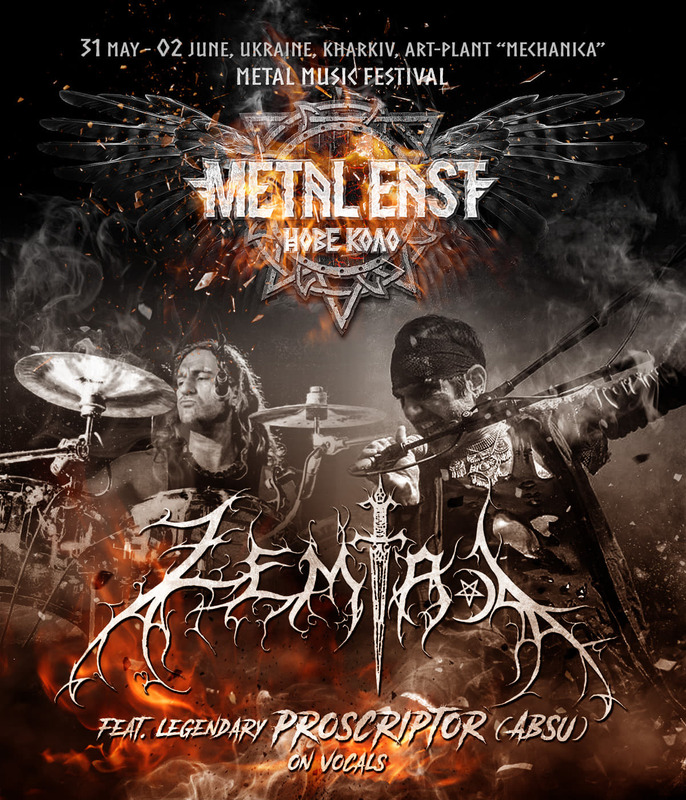 The jewel of underground Hellenic metal scene, ZEMIAL, had plans to bring with them legendary Proscriptor McGovern of ABSU fame to our festival in summer of 2018. Due to personal circumstances Proscriptor did not make a trip to Ukraine then, however ZEMIAL really tamed festival audience with great set of enigmatic and unique black metal. They will return to Kharkiv in full force with Sir McGovern behind the microphone stand and updated program from 31st of May to 2nd of June in 2019. Get ready for mythological and occult revelations at Metal East Nove Kolo festival! Previous Previous post: Now is the time to announce the next representative of Ukraine at the festival – SEVEROTH!